What States have you've lived in other than IL? I am a guest at this site. I had attended the Robert Emmet School through 3rd grade, 1954. Then my mother, a single parent, and i moved to Rogers Park so my mother could be close to her sibblings. It was my father's relatives who lived in Austin and he had died in 1949. So the move was understandable but my mother had not prepared me for the move. So, I lost most of my childhood friends and have always wondered what had happened to them. So, I registered here although I graduated from Sullivan High School, in East Rogers Park, in 1964. I was raised by a single parent and because she had to earn a living, I was a latchkey child. Consequently, my teachers were significant models for me. I recall having a Mrs. Hedermann for kindergarten (and a student teacher s named "Lucky"), a Mrs. Keating (for music), and a Mrs. Bitterman for homeroom. I assume that my teachers were born in the United States, the childen of Irish (Keating, Driscoll), German (Hedermann, Bitterman), and Italian (?) families. I have fond memories of watching ice skating (I could not afford skates), school carnivals, and lagging pennies or rubber heels in the school yard. Eventually, as I have noted, we moved to East Rogers Park where I attended the Eugene Field School and did have teachers with Italian and Jewish surnames. Basically I have been a student all my life. I taught and conducted research for 41 years at the University of Wisconsin--Milwaukee. I am most proud of my analysis of romantic love. You can find that paper and others at my professional website: https://people.uwm.edu/dermer/ . These days I grow orchids, play the ukulele, exercise daily (though my body is falling apart), and enjoy my wife and our growing family. I also work on software that will help people with difficult aspects of language lke correctly using German articles, conjugating Spanish verbs, and more. Marshall Dermer posted a message. Marshall Dermer added a comment on his Profile. New comment added. Best birthday wishes to Abby for today and her new year! Last week, on WFMT, I was listening to the Midnight Special and heard this hillarious song sung by Audra McDonald. "The Facebook Song" is about some guy who broke your heart and now years later seeks to a FB friend. Here is Audra: https://www.youtube.com/watch?v=DSZ7PtsVLk4 and here is the writer: https://www.youtube.com/watch?v=QeTPNjPiyJM . 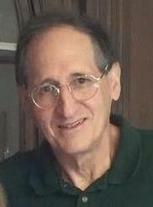 Marshall Dermer updated his profile. View. I also have many positive memories of merchants on Madison Street including Carl's, Bunny's, Randall's, the Austin Bowling Lanes, the Austin Theatre, Mesirow's, Steinway's, Schlachetz (drugs), Centrella Food Mart, the Austin Post Office, and Diamond's (bakery). And who could forget receiving a penicillin shot in the rump from Dr. Padnos! Send me a note if you would like to schmooze about Austin, etc. Marshall Dermer changed his "Now" picture. Marshall Dermer added a photo to his profile gallery. Marshall Dermer added a comment on his Profile. Marshall Dermer posted a message. New comment added. I see your birthday is coming up and, of course, I offer you best wishes. Also, did you attend the Robert Emmet School? I believe I was a classmate of yours. Check the URL below. Finally, you may be familiar with this "Beesh nas mos, ha melech Oo zee ya hoo, va ya re Adonai yoshave al kesay . . . "
Mazel tov Abby! Have a joyous birthday! 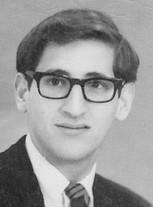 Marshall Dermer changed his "Then" picture. Marshall Dermer added a photo to his profile gallery. New comment added.